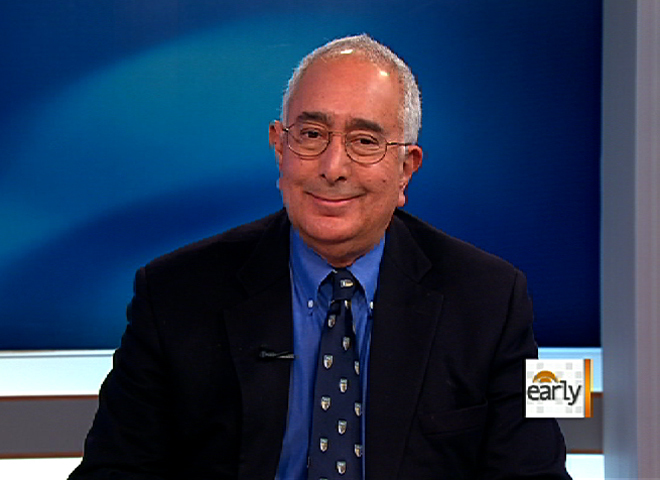 Author, lawyer and former game show host Ben Stein says politics are getting a little too personal, and believes candidates should not be judged by their "gossipy love life." Appearing on CBS' "The Early Show," Stein said the coverage of GOP president contender Herman Cain and allegations of extramarital affairs was getting to be too much. "I keep thinking to myself, yes, he is a sinner. Let him who is without sin among you cast the first stone," Stein said. "He's not running for pope. He's not running for saint. He is running for president. We've had lots of presidents who had girlfriends. We had President Kennedy who was a great president, he had girlfriends. President Roosevelt who was with his girlfriend when he died, he was one of the greatest presidents that's ever been. Thomas Jefferson had a very well-documented affair. I'm not saying it's a great thing; I'm just saying people are human. We can't judge people by super-human standards." Stein said there is something wrong with politics right now: "I'd like to see them concentrate on policy issues. It doesn't do an unemployed person one bit of good to concentrate on Herman Cain's love life. If you concentrate on economic policy that will give a man or a woman a job, that means something. To concentrate on a person's gossipy love life, that doesn't mean a darn thing." For more from Ben Stein click on the video player above.